1. UV102. Pura UV Lamp #20. The top-selling product on the list was no surprise. This has been our best selling single item for a number of years. When Pure Water Products started in 1986, it didn’t cross my mind that I was getting into the light bulb business. 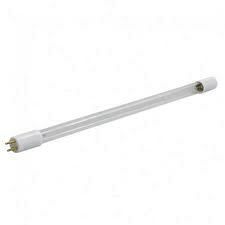 We sell lots of Pura #20 UV lamps because it is the standard lamp for all Pura plastic whole house UV units, we’ve been selling Pura units since the early 1990s and have lots of customers who need annual replacements, and we have have an all-Pura website (http://www.purauv.com) that is the uncontested best source for Pura plastic units, parts, and information. 2. FC001, MatriKX CTO Plus carbon block filter cartridge, 9.75″ X 2.5″ size. This has for years been our favorite and our best selling filter cartridge. It’s the standard cartridge for our Model 77 countertop filter as well as our Black and White series reverse osmosis units and undersink filters. 3. DC006. WellPro 220 volt control module. This is a best seller we aren’t proud of. It’s a control module for a dry pellet chlorinator. We sell a lot of these because we make them available and most websites don’t, but also because it’s a part that fails often and has to be replaced. This isn’t a big profit item because we also have to handle lots of warranty replacements. The module has an 18-month warranty and a habit of dying before the warranty expires. 4. FC403. MatriKX CTO carbon block cartridge, 4.5″ X 20″ size. We sell lots of these because they’re the standard cartridge in our “compact whole house filters” and because they’re a popular “after market” replacement in Pura Big Boy ultraviolet units. 5. RO001. This is a product we’re really proud of, our Black and White undersink reverse osmosis unit. We build these RO units ourselves and customize them at customers’ requests. 6. FC453. 5-Micron Wound String Sediment cartridge, 4.5 ” X 20″ size. Standard in our compact whole house sediment units as well as Pura Big Boy units. People with high sediment well water go through lots of sediment cartridges. 7. RO200. This is the countertop version of our Black and White reverse osmosis unit. Another product that we build ourselves and modify according to the customer’s request. 8. UV013. The Pura UVBB-3. Pura’s 15 gallon per minute “Big Boy” triple whole house unit, with UV lamp, a sediment filter, and a carbon block filter. 9. DC008. Chlorine Pellets for WellPro dry pellet chlorinators. 10. UV007. Pura UV20-3. Pura’s 10 gallon per minute whole house UV unit, with 2.5″ X 20″ carbon block and sediment filters. 1. What sells best are things that wear out and have to be replaced. Filter cartridges, UV lamps, and chlorine pellets are all things that are used up and have to be replaced. 2. Bad products may be more profitable than good products. This is an unfortunate fact. We’ve all heard of planned obsolescence. 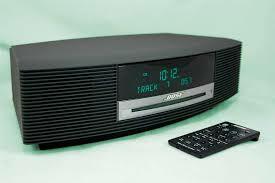 I bought a Bose radio a dozen years ago and except for a few Radio Shack batteries for the remote control, I’ve never had any expense after the initial purchase. The purchase price seemed high for a radio, but it turned out to be a great bargain. Chlorinator modules, on the other hand, cost half as much as my Bose radio and often don’t last through the warranty period. The manufacturer keeps making bad ones because people keep buying them. It’s a proprietary product–no one else makes one that will fit the chlorinator. We don’t like this system, but we all seem to be caught in it. And for General Electric one can see how it makes more sense to purchase very cheap offshore chlorinator modules than to make good ones (as they did a few years ago) that last and last and hardly every have to be replaced.